Effective Brand Management strategies are imperative. 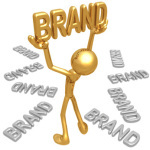 Not just Product Branding but also Company and Personal brands ~ consider a Brand as your IMAGE (online or other). This includes, but is not limited to: design/appearance, packaging, online presence, etc…leading to an indelible impression that is uniquely distinguishable. Most products last less than 6 months on the shelf. We will help create a lasting and stunning product/brand image and design that will continue to communicate to the consumer. actual PRODUCT. Let’s emphasize that: the marketing communication is just as important as the great product! A consistent message across the Fundamentals of Marketing (4 P’s – Product, Place, Promotion, Price) is critical. Brands suffering from “Brand Schizophrenia” – i.e. trying to be too much – will ultimately not resonate well with consumers. Objective – This workshop will provide you with the principles and ‘fundamentals’ of Brand Management. It will ultimately lead to evaluating your Brand – i.e. Brand Score Card or Brand Health. How to generate better design and brand messaging across a product range? And also across all marketing mediums (social media, advertising, product marketing and company marketing)? “We are having trouble creating a consistent message across our line extensions and we are not sure if our branding and design is strong”. 1. Help you evaluate current Brand Health. We create new and improved Brand Equity for both existing and new/line extension (for both Private Label and National Brands). 2. Create Design Briefs for new products or re-evaluate existing products. 3. We work with Designers to create stunning mock up images of your product. 4. Train you on reading and analyzing Consumer Trend Data ~ essential for keeping a pulse on your target market. Bottom Line – Without keeping your pulse on the consumer you are surely going to be complacent and ultimately your product will be antiquated and obsolete. Learn more About Bartolini Consulting.